Mnova has always used GSD for peak picking and integration. 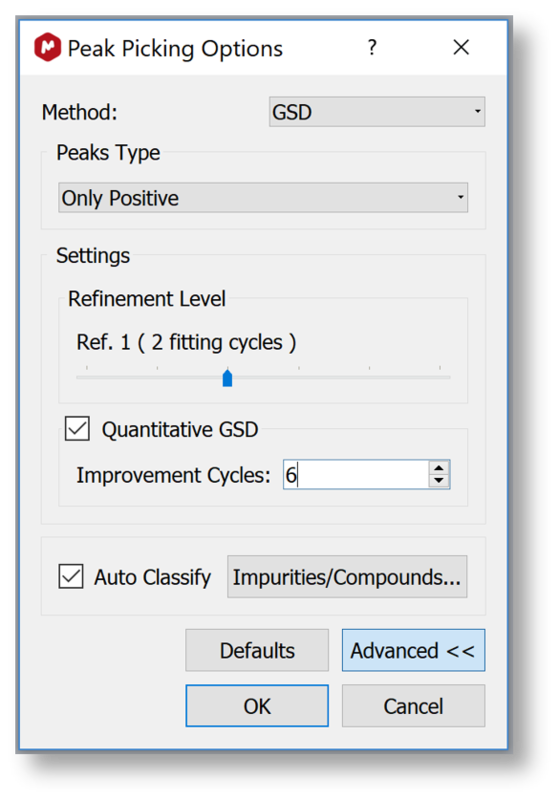 qGSD, new in Mnova 12, takes this to a new level when accurate integration is needed – as with qNMR. Global Spectrum Deconvolution (GSD) is a novel qNMR technique for an automatic peak analysis of NMR spectra. GSD analyses frequency-domain NMR spectra and produces an accurate list of NMR peaks with refined peak parameters including position, amplitude, linewidth and shape. GSD has been at the core of Mnova data analysis for many years, and has proved to be highly reliable and computationally efficient. It is widely used in Mnova as a preparation step for many advanced analysis routines, such as multiplet analysis, automatic assignments, automatic structure verification. As a default, GSD uses a Generalized Lorentzian function to model the experimental lineshapes. This is a very flexible model that covers a broad range of shape variations for NMR resonances. The deconvolution of NMR spectra is an attractive approach for quantitative analysis: accuracy is often adequate, and it can provide realistic integrals even for overlapping lines. However, the accuracy of the quantitation depends on how well theoretical models describe experimental NMR resonances. Careful analysis shows that even a flexible model like the generalised Lorentzian cannot precisely fit all possible experimental lineshapes, as evidenced by non-zero fitting residuals. for example, asymmetrical lineshapes, often a consequence of poor magnet homogeneity optimisation, cannot be accurately modelled by existing approaches. Due to its model-free nature, the classical point-by-point integration method may produce higher accuracy quantitation compared to model-dependant procedures. Problem: Experimental peak shapes often deviates from ideal models like generalised Lorentzian. Solution: Based on GSD, carefully analyse the remaining residuals and increasingly add more adjustment parameters to the models till it represents the experimental shapes better. Can be done in multiple improvement cycles, and the goodness of fit is evident from the vastly improved fitting residuals. It follows that qGSD is a very attractive integration option for quantitation. As with GSD, it is extremely useful when peaks overlap, but now the integral values it provides are often as good as what would be possible when sum integration is used. It provides the best of both worlds. qGSD is somewhat baseline and phase tolerant, but prior optimization is still recommended (as for any qNMR technique). It does not affect the peak detection or classification parameters – the peak number remains the same. 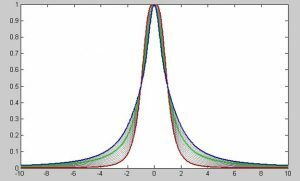 qGSD is, however, computationally intensive: total analysis of a complex spectrum can take a couple of minutes (some optimization is considered). qGSD (quantitative Global Spectral Deconvolution) represents Mnova’s latest innovation that combines the power of deconvolution techniques to handle overlapped signals with the robustness of sum integration of isolated resonances but with the ability to deal efficiently with overlapped peaks. Our tests demonstrate that qGSD provides signal integration accuracy which is close to the sum integration even when there is signal overlap. 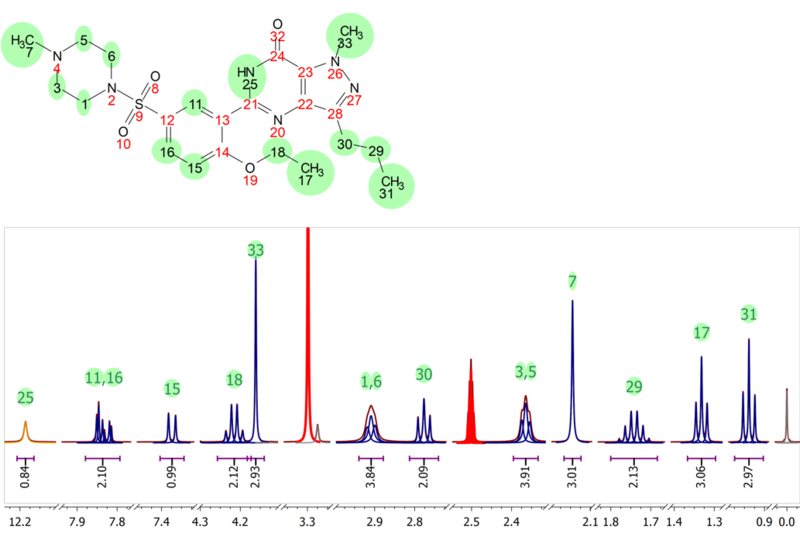 The approach can be useful beyond qNMR applications. For example, qGSD shapes improves results of reference deconvolution by using more accurate model lines as a reference shape. SUM: Classical sum of intensities within a specified integration region. The most accurate quantitation technique for well-resolved resonances. Limited by its ability to resolve overlapping peaks and very sensitive to baseline and phase distortions, as well as low SNR. 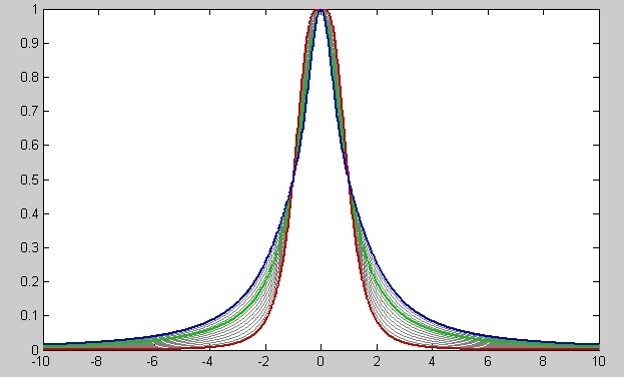 GSD PEAKS: Calculated areas of theoretical lineshape models obtained by fitting techniques like GSD. More accurate for peaks that overlap. Sensitive to the quality of the fit, and experimental lineshape. and artifacts. These contributions are estimated by GSD and removed from the sum integral. qGSD: GSD that models experimental lineshapes. The result is an integration accuracy (almost) as good as sum, even when peaks overlap. You can have a look at this poster we prepared on qGSD for SMASH NMR 2017 conference.